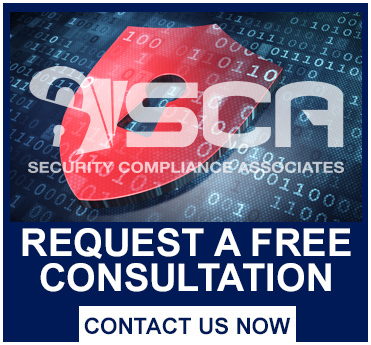 Mr. Brahm is the Managing Director and CEO of Security Compliance Associates. His primary role is running the day to day business of SCA, ensuring that product and service deliverables are competitive and ‘better than advertised’. He is also responsible for the long-term strategic direction of the company including effective capital management, new product development, strategic alliances and business development. Prior to joining SCA, Jim enjoyed a 26-year career with FIS, Certegy, Equifax Card Services and Telecredit, Inc. Jim held numerous executive operational and sales roles during his career in the Payments Industry and is widely known as an effective and impactful leader. Jim was responsible for many large, strategic sales which significantly helped grow the revenues of the company. His most recent role at FIS was SVP and Chief Operating Officer for the Credit card division, which includes 4 large business units and over 1,000 associates. Jim attended University of Tampa and University of South Florida with majors in economics and management. Jim serves on several local community focused organizations boards and councils. A founding member of SCA, Mr. Woods has personally developed over 200 client relationships, throughout America. Mr. Woods is the primary contact for introducing SCA to your organization. Mr. Woods’ responsibilities include managing and growing SCA’s sales force and marketing operations. The Pittsburgh Steelers drafted Rick out of Boise State University, where he majored in history. After a six-year NFL career, Rick involved himself in financial institution sales. Rick has over twenty years experience in financial institution sales and marketing, including credit card processing, EDI, and Internet Banking solutions. Jim Catrett began with SCA as an Information Security Compliance Senior Analyst with an educational background focused on Information Assurance and Security. Now as SVP of Compliance Services, Jim is responsible for SCA’s compliance portfolio of services. Jim has performed numerous information security risk assessments, policy and procedure programs and disaster recovery/business continuity planning projects for organizations of all types. Jim is driven to assist organizations in exceeding compliance and regulatory requirements regarding information security. He holds a Master of Science in Information Technology focusing on Information Assurance and Security with a concentration on Policy and Procedures and Business Continuity Development.